Carrying a stoic demeanor on and off the court, Kawhi Leonard is one of the most complete players in the league, on both sides of the floor. The 2014 NBA Finals MVP, Leonard has also won the NBA Defensive Player of the Year in back-to-back seasons (2015, ’16). 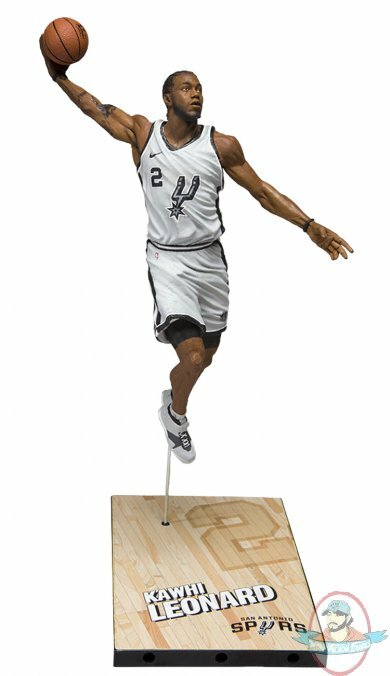 Figure stands 7 inches tall and comes in San Antonio’s all new 2017-2018 home uniform.